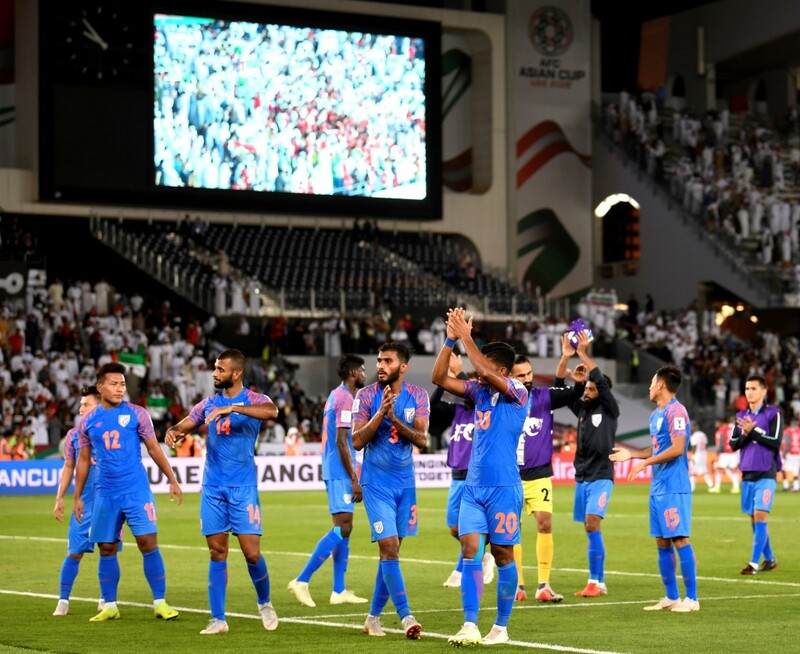 We explore the positives for Team India that emerged from their promising campaign in AFC Asian Cup 2019 despite bowing out in the Group Stage itself. AFC Asian Cup 2019 – a tournament where Indian fans had high hopes. But, the true ultras knew it was going to be a monumental task to even match up to the other teams in their Group – UAE, Bahrain and Thailand. The purists of Asian football had not given India much of a chance to progress past and the nation was supposedly set to be just a placeholder. But, Sunil Chhetri & co. shocked people by dismantling Thailand 4-1 in the opener, with the Indian captain overlapping Lionel Messi as the second-highest active goalscorer in international football behind Cristiano Ronaldo. To everyone’s surprise, India almost pulled off a great result against UAE, with the camp matching up to the giants of Asian football. On the night though, UAE were more clinical and came away with a 2-0 win. But, India had already established themselves as a team to be taken seriously. Against Bahrain, all India needed was a draw to go through to the Round of 16. But, an uncharacteristically defensive and dogged display saw Bahrain steal all three points in additional time and knock India out. Stephen Constantine announced his departure, leaving the National Team Manager post vacant for now. Despite all of the hooplah and the ultimate disappointment, there were a fair share of positives to take away for Team India and their fans. Sunil Chhetri has often been hailed as an extraordinary talent. The forward, like his idol Baichung Bhutia, came close to plying his trade in the Premier League and had stints abroad. But, what he achieved for India has been unprecedented. While no one gauged the heights he will be able to reach for the National Team, it is safe to say he has forever etched his name in the history books. The Indian Captain came into the event with 65 senior international goals to his name, one behind second-placed Lionel Messi in the list of the highest international active goalscorers. But, with a brace against Thailand, Chhetri crossed the Argentine international to become 2nd on the list. Throughout the event, Sunil Chhetri displayed immaculate technique on the ball and an impressive ability to link up with his teammates, something that will be sorely missed once he decides to hang up his boots for India. It is a shame the National Team could not make the campaign even more historic by qualifying for the knockout phase. But, the 34-year-old is perhaps grooming the next generation that is playing with him for the better. His role in the increase of importance of football in India is insurmountable and we hope he collects as many accolades as he can before international retirement. There weren’t many bright prospects in attack besides Sunil Chhetri and Jeje Lalpekhlua for India. But, AFC Asian Cup 2019 put forth a few names that could be ready to take on the mantle in due time. 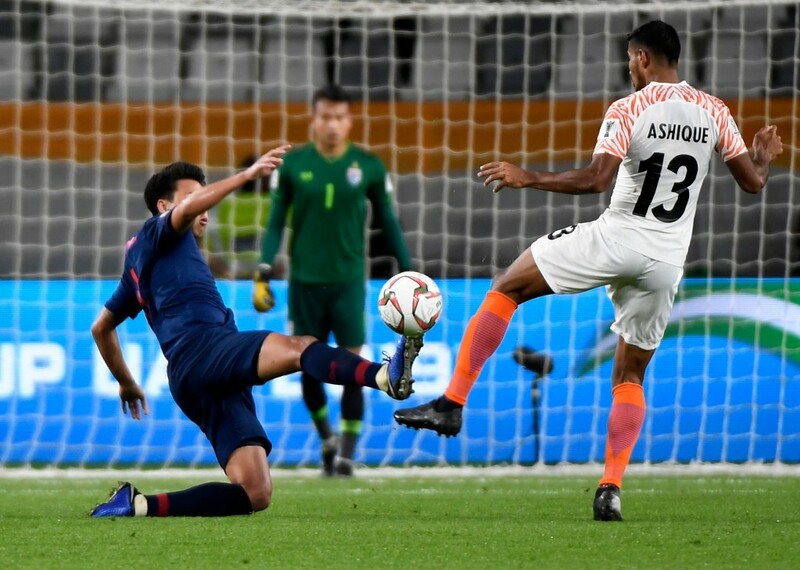 One of the brightest names to emerge from the event was FC Pune City forward Ashique Kuruniyan, who impressed with his ability to run the channels and act as the support striker to Sunil Chhetri. The Kerala-born player made his competitive debut for India at the AFC Asian Cup but did not look fazed on the big stage. In fact, the 21-year-old was the most positive star for India, despite not getting a goal or an assist to his name. But, apart from Kuruniyan and the reliable winger Holicharan Narzary, Bengaluru FC star Udanta Singh came forth as an ideal option for India going forward. His bright Indian Super League campaign saw him being chosen by Stephen Constantine and the youngster repaid his faith. Another player that impressed in dozens was diminutive midfielder Anirudh Thapa. The youngster kept the ball ticking in midfield and paired up well with the defensive-minded Pronay Halder. One of the most telling difference in the first two games and the final one against Bahrain was the absence of Thapa in midfield. His replacement Rowlin Borges might have done a decent job defensively. But, he failed to connect with the forwards with as much accuracy as Thapa and the misplaced passes kept the pressure on India, which ultimately resulted in an additional time penalty for Bahrain. Anirudh Thapa’s rise is good news for the Indian team, for the lineup has lacked a good playmaker in midfield for a while now. For once, the Indian team did not go for the usual hoofing-the-ball-in-hope Long Ball tactics. Instead, we saw attacks being built from the back to the front, with a tinge of fast-paced counters still present to catch the opposition off-guard. Perhaps, the introduction of Anirudh Thapa enabled Constantine to instruct his players to play a more established style. 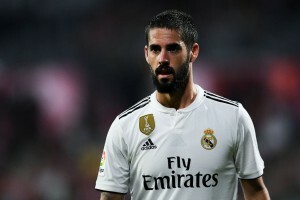 The Bahrain game could be chalked down to being distracted by the lure of qualifying to the knockout phase, with the manager trading off the tactics for a point, which unfortunately the team was unable to pocket. But, we witnessed India taking the game to Thailand and UAE and perhaps, could have done the same against Bahrain, had they been instructed to play their own way. A massive positive that the team will take with them as they plan to start a new journey under a new manager after the departure of Stephen Constantine. DW Kick off had made a documentary about India’s prospects at the AFC Asian Cup 2019 and how the event could be the first milestone for the newest generation of Indian footballers. DW Kick off expert Kres Harrington traveled to South India to chat up Indian legend I.M. Vijayan and current Indian international Sandesh Jhingan. The question was whether the AFC Asian Cup 2019 can be a turning point for Indian football. While there was disappointment, the rise of several young gems combined with the proof that the nation can hold its own against the giants of Asian Football can attest to the fact that it was indeed a positive event and in some ways, a turning point for Indian football.